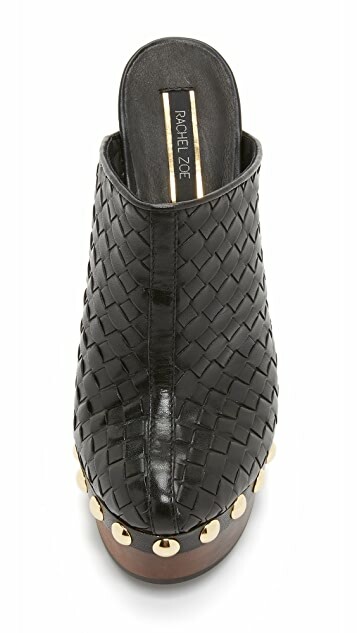 Studs detail the platform on these woven leather Rachel Zoe clogs. 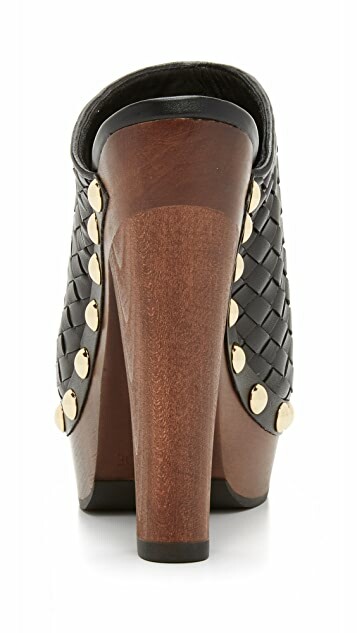 Wooden heel and platform. Rubber sole.